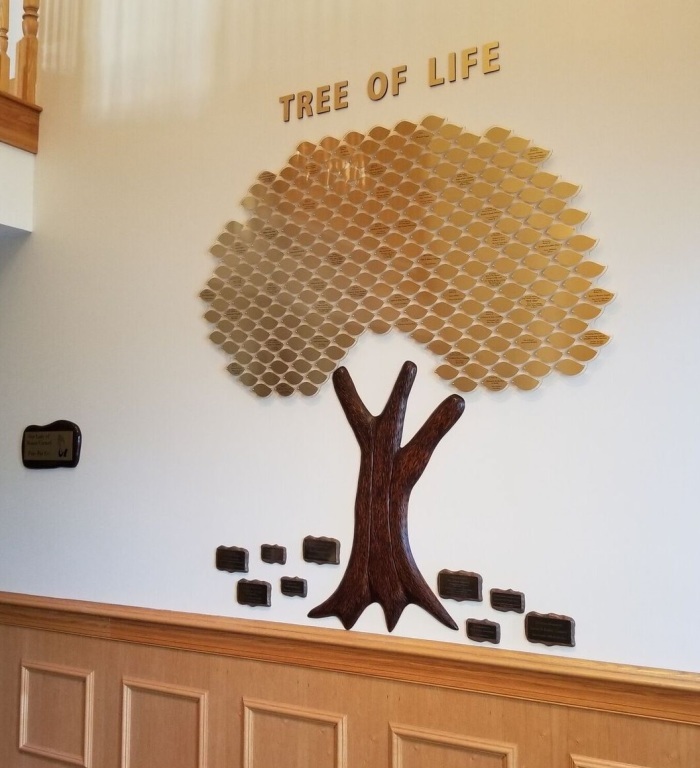 A lasting dedication………permanently displayed in the entry to the church, our new Tree of Life is a beautiful sculpture cast in bronze and bearing “celebration” leaves. Its purpose is twofold: to honor, recognize, and memorialize those we hold dear, while simultaneously supporting our parish. The fixture is made up of small bronze plaques representing leaves on the branches and larger bronze plaques representing stones and acorns at the base of the tree. The Tree of Life serves as a wonderful way to celebrate those you love. Consider gifting a leaf in honor of a baptism or anniversary, commemorate a special life event, memorialize a loved one who has passed, or simply list your family name, showing your support of our parish and community. 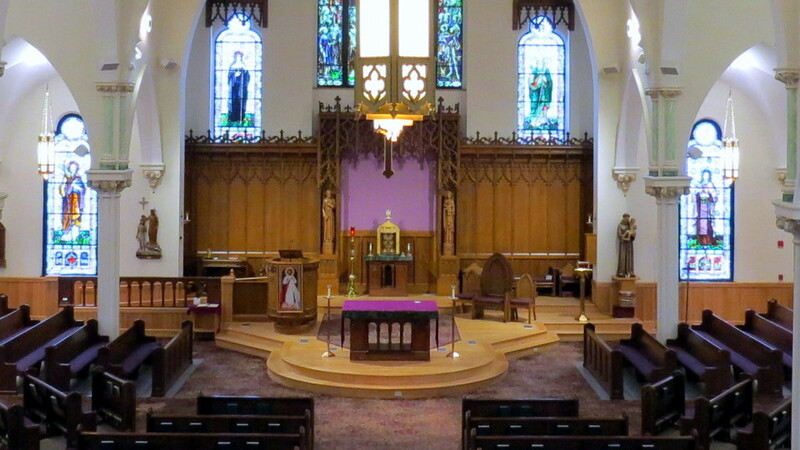 Your generous gifts will enable St. Patrick Church to maintain and upgrade our facilities, establish new programs, and sponsor events, all in order to better serve you, our congregation and our community. The Tree of Life will flourish as the generosity of the community brings new branches and additional leaves. If you choose to honor a loved one, and would like to reserve your leaf, simply contact the Parish office for more information and an order form. Please know that we are immensely grateful for your donations. Thank you for shining your light, enabling us to continue to shine for others.